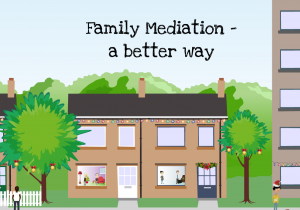 This special Christmas video was created to highlight the benefits of family mediation compared with going to court. It was launched at the Heaney Watson DR conference on the 26th November 2015. The concept for the video came towards the end of 2014. 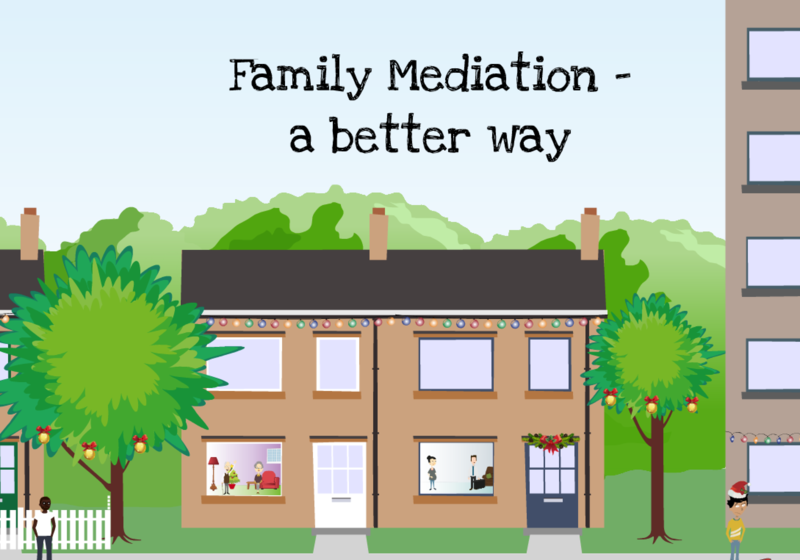 Since Christmas is an especially stressful time for families, it’s a key time for informing people about dispute resolution options – including family mediation. The characters and background were originally developed for Protocol IT by Kerf Design was used in a video ‘Understanding Family Mediation’. Developed with Professor Elizabeth Stokoe, it highlighted the benefits of family mediation compared with the court system, and was later adopted by the Ministry of Justice. The Christmas video was released on the 31st December 2014, but due to short timescales, elements of the video had been compromised. In October this year I decided to give it a make-over ready for Christmas this year. Lisa Parkinson is a leading authority in the UK on Family mediation, writing many articles and books on the subject. Her book Family Mediation has become the authoritative and practical guide to family mediation, and has become a primary resource for many mediators. She has graciously acted as a sounding board and provided valued assistance in the project. Having recently developed special versions of ‘Understanding Family Mediation’ and ‘Understanding Community Mediation’ for the District of Columbia Court with English and Spanish voice overs, it illustrated the effectiveness of the spoken word. I decided to use a child’s voice to add weight to the subject material. Since video has a Christmas theme, I wanted to create backing music to reflect this. I set about composing something ‘festive’ to accompany the images based on the traditional ‘God rest ye merry gentlemen’ but with a more contemporary feel. As the video introduces the concept of the mediator, the beat changes from a steady backbeat to a more up tempo dance beat. As with any film, the addition of the voice over and music plays an important role in creating an emotional connection with the audience. You can also find a shortened 15 second, wide screen version on Instagram.